WHY DO YOU NEED A LONG BEACH INJURY LAWYER? Every year, thousands of people get injured in California. If someone negligently injures you, then they are required to make you whole. Many people that get injured decide not to hire a lawyer because they think they either do not need one or because the lawyer will be too expensive. The great thing about having an injury lawyer is that we work on a contingency fee basis. This means that you do not have to pay for the injury lawyer out of your pocket. The attorney recovers their fee from the settlement. In the end, our lawyer will maximize your settlement amount so that you can recover more money with no expense out of your pocket. When you get injured, our lawyer will refer you to doctors that will treat you on a lien basis. If our office recovers a settlement for your injuries, the doctors can get paid from your settlement. This would allow you to receive more medical treatment than you would have received without a lawyer. Without a lawyer, paying for medical bills out of your own pocket can be very expensive. If we settle your case, we will work hard to reduce the amount of your medical bills so that you can recover more money for your pocket. After you get injured, the insurance company of the person that injured you will try to settle for a small amount. The insurance company may seem like they want to take care of you. They do not want you to hire a lawyer. Insurance companies know that if you hire an injury lawyer, they will have to give you a bigger settlement. WHAT IS A LONG BEACH PERSONAL INJURY LAWYER? A personal injury is a physical or emotional injury, which causes pain and suffering, the need for medical treatment or loss of earnings. If you have sustained an injury because of the fault of another person or company, then you may have a personal injury case. The person who has caused your injury is at fault if they were negligent. Negligence occurs when a person does an action, which is under the standard of care we owe to others. We all owe each other a duty of care to conduct ourselves as a reasonable person would. For example, the reasonable person would not follow too closely behind someone. Generally, if someone rear-ends you, then they are negligent and responsible for your injury. If another person has injured you, this is a form of civil wrongdoing, which is known as a tort. You may be entitled to money damages if another person injured you. The money damages equal the amount of money it would require to make you whole again. This means that you are entitled to money that would compensate you for your pain and suffering, medical bills, permanent damage, loss of earnings, emotional distress and more. Since we can’t turn back time, the only justice you can receive for your injury is money justice. Our Long Beach Personal Injury Lawyer works on a contingency fee basis. 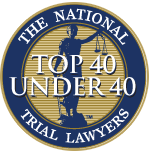 This means that our fee is contingent upon the result we get in your case. If we do not win your case, we do not charge you a fee. If the person or company that injured you has insurance then you can recover the money from their insurance. If their insurance is not enough to cover your damages, then you may be able to recover the rest of your damages from your own insurance. If you recover money against your own insurance, your insurance premiums will not go up if the accident was not your fault. In California, it is illegal for insurance companies to raise your premiums if the accident was not your fault. There is no timetable for how long your personal injury case will take. Generally, our office will refer you to a doctor if you need medical treatment. These doctors will treat you on a lien and agree to not charge you until your case is over. Once you are finished with your treatment, we will negotiate with the insurance company to try to resolve your case without the need for filing your claim in court. The negotiation process with the insurance company can last anywhere from 1 to 12 weeks. If the insurance company makes reasonable settlement offers early on, then the negotiations will be quicker. If the insurance company wants to make low ball offers, our office will discuss whether you want to take their highest offer or file the case in court. If we file the case in court, the Court will give us a trial date. Only two percent of cases go to trial. Usually, the case will settle after we file your case in court. Generally, the parties will agree to go to mediation in order to try to settle the case. Our Long Beach Personal Injury Attorney advances all the costs to pursue your case, including the cost of mediation. If we don’t win your case, we will not request for you to reimburse our costs. We take on all the risk. While there is no clear-cut answer as to how long your case will take, we ensure that we will move your case as efficiently and thoroughly as possible. In the end, it will be a process, but you will receive the justice that you deserve. LONG BEACH PERSONAL INJURY LAWYER WITH NO FEE UNTIL WE WIN. You will not be charged a dime until we win your case. If we do not win your case, we will not charge you anything for our services. Also, we will advance all the costs to pursue your case. If we do not win your case, you do not pay for the costs we advanced. You have so much to gain by hiring a personal injury lawyer. The person who caused your injury must pay for the cost of your medical treatment. If you paid out of pocket, the at-fault person must reimburse you for the amount you paid. You are entitled to recover the amount of money you lost from missing work. In order to recover money for missing work, the insurance company will require a note from the doctor detailing the amount of days you were put off work. Moreover, you are entitled to recover for any loss of earning capacity. This occurs when you have a permanent injury and you can no longer do the same work. If you will end up being able to make less money than before the accident, then you are entitled to compensation for your loss of earning capacity. This is also known as workmans compensation or “workers comp”. Most importantly, you are entitled to money damages for pain, suffering and emotional distress. The pain and suffering damages is the amount of money that would be fair in order to go through your pain and suffering. There is no formula for pain and suffering. It is known as a general damage. Pain and suffering damages vary depending on your particular suffering. For example, if you missed an event or can no longer do your hobby, then there will be a high price tag. Unfortunately, insurance adjusters don’t take pain and suffering damages seriously unless you have a Long Beach Personal Injury Attorney. the first thing you want to do is take pictures of all vehicles involved in the accident. Take the pictures before moving any cars. It is important to document exactly where each car was at the time of impact. For example, if another driver merged into your lane and sideswiped your vehicle, then you can use the point of impact photo to prove they were at fault. Once you have taken photographs, then move your car to the side of the road when safe to do so. If you have been injured, call the police. They will ask if you have been injured. An injury is any discomfort. You don’t need to break a bone in order to sustain an “injury.” Make sure to let the police officers know if you sustained an injury so that they can write a police report. If no one has been injured in the accident, the police officers will leave the accident scene. They will advise all persons involved in the accident to exchange insurance information. It is important that you take pictures of the front and back of the other driver’s insurance card and driver’s license. You need this information to file a claim against their automobile insurance and potentially to file a lawsuit. Once you complete the steps above, you must determine if you need further medical treatment. If you need medical treatment, you may contact our Long Beach Personal Injury Lawyer so that he may refer you to a doctor. The doctors will not charge you until your case is over. Generally, they get paid out of the settlement if we win your case. 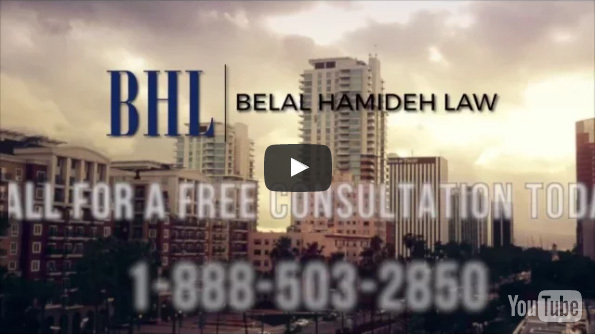 OUR LONG BEACH PERSONAL INJURY ATTORNEY WILL REPRESENT YOU AGGRESSIVELY. Our office will fight for you to maximize your compensation. Your personal injury can impact the rest of your life. Speak to our office and make sure that you receive maximum compensation so that you and your family will be protected. Our experience and commitment to our clients makes our firm a top choice. WHAT PERSONAL INJURY BENEFITS YOU ARE ENTITLED TO? Under California Civil Jury Instruction (“CACI”) 3903A, you are entitled to be paid for the reasonable medical expenses you have incurred. Our attorney will make sure you receive all the medical treatment that you need. Our attorney will fight hard to get these medical expenses included in your settlement. Also, under CACI 3903A, you are entitled to get paid for the reasonable medical expenses you are reasonably certain to require in the future. If you need future medical treatment, we will advance the cost for a life care planner. Our attorney is skilled in negotiating a settlement for your past and future medical bills. When you get injured, you will endure pain and suffering. Under CACI 3905A, you are entitled to receive money for the physical pain, emotional stress and loss of enjoyment of life. If you are permanently injured, you may have lifetime pain and suffering. A skilled attorney is required so that you receive full compensation for your past and future suffering. It is possible that you will miss time from work because of your injury. Further, you may lose some ability to earn money in the future. Under CACI 3903 C, you are entitled to recover the earnings you lost. Moreover, you are entitled to recover the money you are reasonably certain to lose in the future. If you sustained a permanent disability, we will advance the cost of an expert to determine how much money you will lose in the future. Moreover, you are entitled to recover all out of pocket expenses you paid because of your injury. This includes travel expenses you had for traveling to and from your medical appointments. Our personal injury lawyer will ensure that you receive justice. Our office works hard to obtain maximum compensation for all types of personal injury cases. Our office provides great customer service. We provide our clients with the attention that they deserve. Our lawyer makes himself available to his clients. If he is not in the office, he will return your call within 24 hours. YOU DO NOT NEED TO HAVE INSURANCE TO RECEIVE COMPENSATION. If you did not have automobile coverage at the time of your accident, you can still recover for your medical bills to you have sustained as a result of your accident. You are also still entitled to recover for medical expenses that you will need throughout your lifetime as a result of your injury. WHEN SHOULD I HIRE A LONG BEACH PERSONAL INJURY LAWYER? If you have been injured in an accident because of the fault of another person, then you should hire a personal injury attorney immediately. Our attorney charges a contingency fee basis. This means that our fee is a percentage of your settlement. The fee is the same whether you hire a personal injury lawyer from the beginning or end of your case. You may try to handle your personal injury claim alone, but you will eventually run into problems. The insurance company has a team of adjusters and lawyers to try to eliminate or minimize your case. In order to combat them and receive justice, you will need a personal injury lawyer on your team as well. You will get better medical treatment when you have a personal injury lawyer. Our office refers you to doctors that provide all the medical treatment you need with no upfront costs. So if you need a MRI or injection, you will receive it without having to pay until the end of your case. Without an injury attorney, you may not be able to afford the medical treatment you need if you are required to pay up front. In order to truly maximize your medical recovery and money damages, you need an experienced Long Beach Personal Injury Attorney. The law does not provide recourse to those who wait. There are strict deadlines that must be met in personal injury cases. These deadlines are called Statutes of Limitations. If your case is not filed within the Statute of Limitations, you will lose your right to pursue your personal injury case. Generally, personal injury cases must be filed within two years of your date of injury. If a governmental agent caused your injury, you must file a governmental claim within six months of the injury. Further, the case must be filed in Superior Court within six months of the denial of the governmental claim. Moreover, medical malpractice cases must be filed within one year of your date of injury. CALL US TODAY TO DISCUSS YOUR PERSONAL INJURY CASE. Our office provides free consultations. We look forward to helping you through this difficult process.